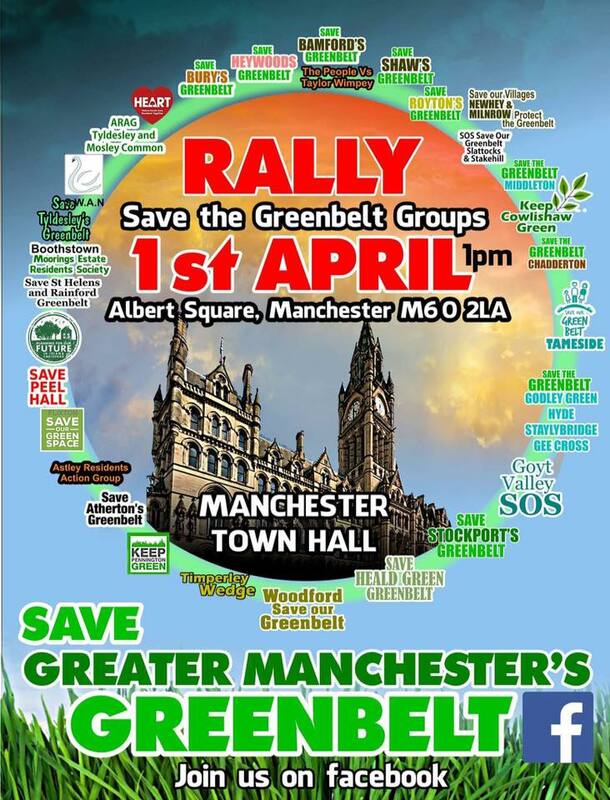 Save the Greenbelt groups from around the whole of the Greater Manchester area are meeting together for a peaceful rally on Saturday 1st April, at Albert Square in Manchester. Everyone is welcome! Please attend if you can.